Jammu: Allaying apprehensions of large-scale anti-militant operations under Governor's rule in Jammu and Kashmir, BJP president Amit Shah said on Saturday the narrative needed to be shifted towards balanced development of the state even though the Centre had zero tolerance for terrorism. 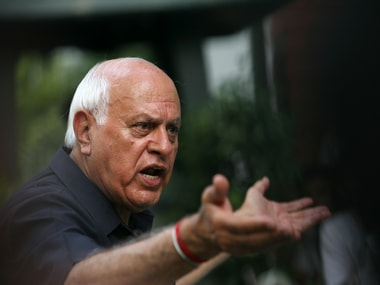 He defended the withdrawal of his party's support to the PDP-led government in the state, saying the decision was taken in view of the deteriorating law-and-order situation and failure of the state government to ensure an equitable development, especially of the Jammu and Ladakh regions. 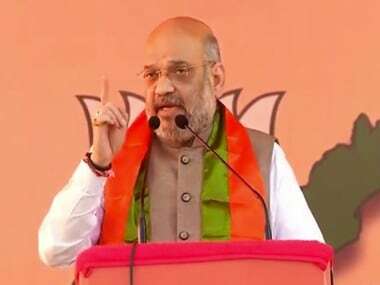 Shah said the number of terrorists killed in the state in the last four years under the Narendra Modi-led government at the Centre was the highest. "The media is forming a narrative, linking the Governor's rule with the security forces' operations. I want to tell the media that the BJP withdrew support (to the state government) because of the lack of balanced development, discrimination and failure of the government to maintain peace," he said at a public rally here. The BJP chief appealed to the media to change the narrative. He said the Centre had a zero-tolerance policy towards terrorism, but that did not mean the whole narrative was based on it. 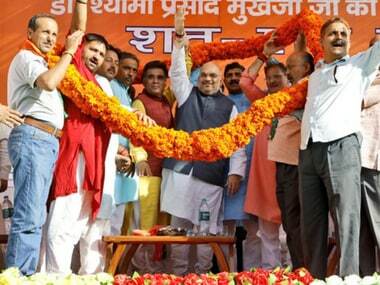 Shah addressed the rally without using a bullet-proof shield, which was removed from the podium at his request. "If someone tries to vitiate the atmosphere of peace, the security forces will not sit idle. Let them do their job, our narrative should be that the IIM and the medical colleges should start functioning early, the ring roads and rural roads are constructed soon and the bunkers for the safety of border residents are constructed early," he said. Appealing to the media to concentrate on the development work in the state, Shah said, "Modi had a dream for the youth of Jammu and Kashmir. Like Gujarat, Maharashtra, Uttar Pradesh, Haryana and Bangalore — where the youth are shaping their own future, he wanted the youth of the state to march ahead and play their role in the development of the country." He added that an atmosphere needed to be created to bring Jammu and Kashmir closer to rest of the country. "I have full faith that the Army and the security forces are fully capable of giving a befitting response (to Pakistan). 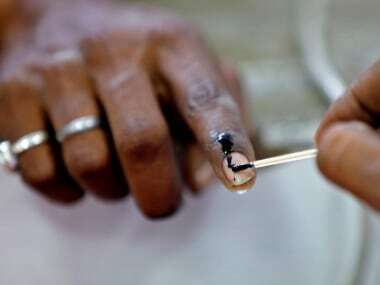 They have done that in the past and will do the same in the future as well," the BJP chief said. Amid slogan-shouting by BJP supporters, Shah said two families (of the PDP and the NC), along with the Congress, ruled the state for generations and amassed wealth through corrupt means. In his speech that lasted for more than half an hour, the BJP chief said his party walked out of the coalition government in the state as the PDP failed to deliver. "In the 2014 (Lok Sabha) polls, we got three seats from Jammu and Ladakh and in the Assembly election, the BJP got the highest number of seats from these two regions. Due to the fractured mandate, we had formed the government with the PDP," he said. Shah added that when the government was formed, a common minimum programme was chalked out with PDP patron late Mufti Mohammad Sayeed, with a thrust on three major aspects — equitable development of all the regions, making an endeavour towards maintaining peace and fight against separatism and terrorism. "The prime minister announced a package of Rs 80,000 crore for the state and came here more than a dozen times. Our leaders exerted pressure to ensure an equitable development but that dream could not be fulfilled and the discrimination towards Jammu and Ladakh continued," he said. Shah said peace could not be restored in the Valley and the day came when soldier Aurangzeb was abducted and killed on the eve of Eid and an editor of a newspaper was shot dead in broad daylight. "India is a democratic country, where an editor enjoys the freedom of expression. There are stones in the hands of children and the frequency of attacks on the security forces has also increased. We provided funds but the money did not reach the bottom line. Projects could not be started and the development of Jammu and Ladakh was not happening," he added. "We decided that if this is the case while being in power, it is better to sit in the opposition and oppose it," Shah said. 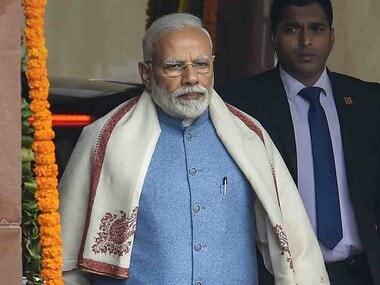 Referring to the special package for Jammu and Kashmir, he said an amount of Rs 61,000 crore was released, but development, especially in Jammu and Ladakh, did not take place. Shah also criticised the PDP-led government for its failure to provide relief to the displaced persons from PoK and the West Pakistani refugees, saying Rs 2,000 crore were sanctioned for the PoK refugees, but only Rs 500 crore spent. "I want to appeal to the state administration to transfer the remaining money to the account of the beneficiaries as they are waiting for it for 70 years. The West Pakistani refugees should also be given Rs 5.5 lakh per family as promised by the Centre," he said, adding, "We will ensure that the money reaches the West Pakistani refugees and for that, if there is a need to change the rules, it will be done." Shah said hurdles were also created in reaching out to the Kashmiri Pandits, who were uprooted from their homes and were living as migrants in their own country. "Was it not an important reason to withdraw support? They were forced out of Kashmir," he said.